Ocasio-Cortez, who led with a quote from Kansas Republican Secretary of State Kris Kobach, asked Commerce Secretary Wilbur Ross about his plan to add a “citizenship question” to the 2020 U.S. Census when she made the remarks about illegal aliens being her constituents. Ross announced on March 26, 2018, that the 2020 U.S. census would bring back a question asking people whether they are citizens of the U.S. 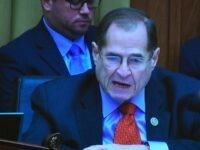 Many congressional Democrats expressed outrage over the citizenship question soon after it was announced, and many Democrats have argued the question could discourage immigrants from participating in the Census. Several state attorney generals and the American Civil Liberties Union later filed lawsuits questioning whether it is constitutional for the government to ask people about their citizenship status. A New York federal judge blocked the Trump administration in January from adding the citizenship question to the 2020 U.S. Census, but the Supreme Court announced last month that it would hear the case on whether it is constitutional for the government to ask about citizenship status on the 2020 Census.